Gertrud F. Hensse, RN, BA, HTCP, CCAP, has been a nurse since 1976 and has worked in critical care since 1980. She received her certification as a Healing Touch Practitioner in 2004 and is a charter member of the Healing Touch Professional Association. She is a mentor for the Healing Touch Program and is currently pursuing certification as a Level 1 Instructor. 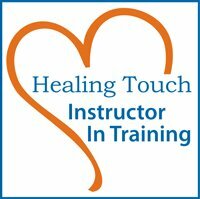 She also teaches Introduction to Healing Touch classes. Gertrud was certified in Clinical Aromatherapy through R. J. Buckle Associates in 2007 and received her certificate in Holistic Nursing through Seeds and Bridges Inc. in 2001. Working as a staff nurse in the SICU at the Cleveland Clinic, she includes Healing Touch™ as part of her patient care. She also volunteers on the Cleveland Clinic Healing Services Team. Gertrud maintains a private practice in Middleburg Heights, Ohio, where she offers Healing Touch™ and Aromatherapy to her clients, and hosts monthly practice/support groups for students and practitioners.